a free month – no models required. 250 pts isnt a lot, but the intent is to encourage T and I to paint more quickly and freely and we are being helped along the way by mrDee and Puppykicker who both play 40K and paint armies already. We may even get a couple of games in as we progress…! 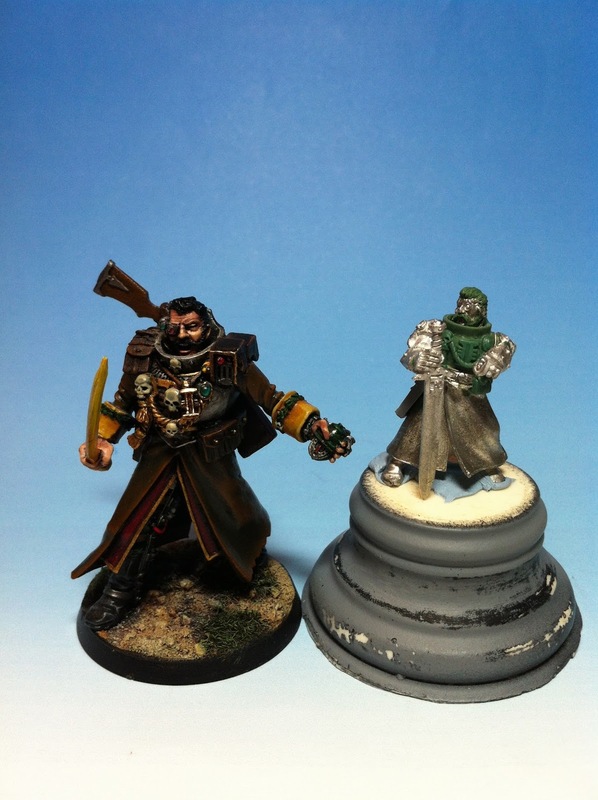 This is a pic of 28mm Avicenna next to my 54mm Inquisitor Avicenna which was the first mini I posted to Cool Mini or Not and the reason I ended up with that as a username! Now I am resurrecting the character for this 40K army… at 25 points (35 including his power sword) how could I resist (yes, the bionic eye has switched sides, but I don’t care :oP)? 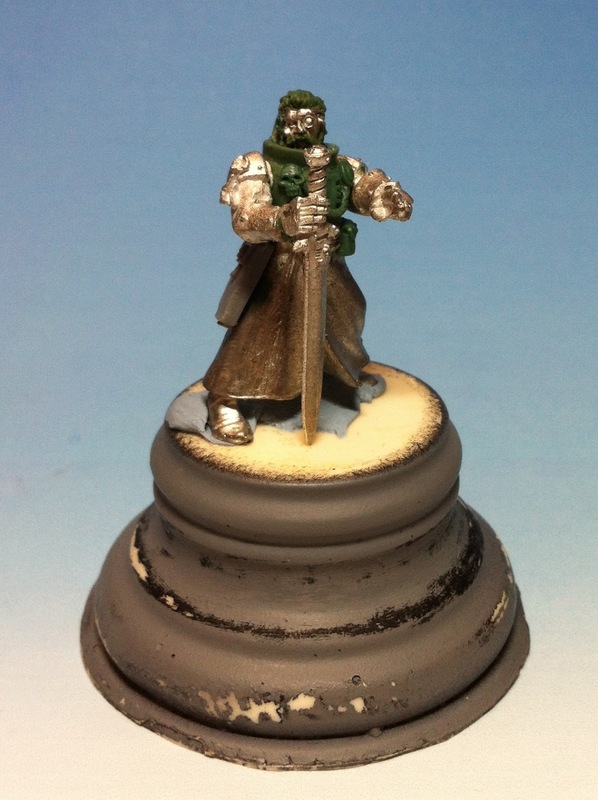 And my Grey Knights on sticks…. ;o) Picked up a Razorback for them last night!